Los Angeles is known for outdoor food preparation, so it makes sense that a photographer of a barbecue or grill would make that item look more enticing by showing that item in use. Expert food photography means knowing how to photograph food during and after preparation. 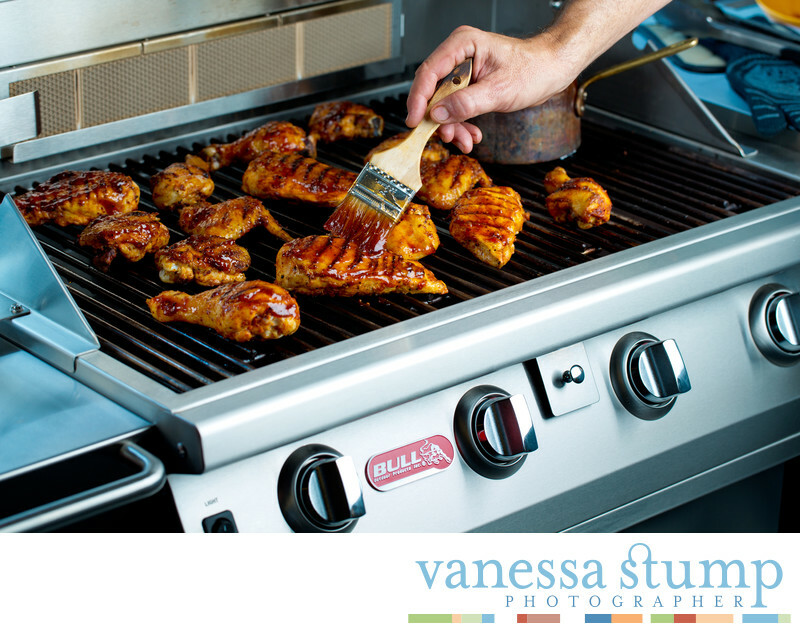 This image involved a complicated lighting setup to minimize glare on the metal elements of the product, as well as model position, glazing brush position and styling of the grilled chicken. The client was thrilled and used this image on their web site and social media outlets as well as in a product cookbook.